Every Wednesday morning I lead a walking/running class at Breakaway, a program that runs out of North Langley Community Church. For this week I’ve been asked to speak for about 5 minutes to the collective group of women and give them some fun and light healthy holiday tips. WATER. Don’t forget to drink it. ‘Tis the season of hot drinks – and usually these drinks are full of sugar, dairy and alcohol. It feels natural and instinctive to drive through the Starbucks drive through a few extra times during the Christmas season, and to almost always have a red cup in hand while grocery shopping or running errands. I’m not against the occasional fancy Christmas drink and I’m certainly not against coffee, but I am strongly against mindless, excessive consumption. My advice is this: pay attention to how much you are consuming. Choose consciously. Enjoy every sip, but enjoy less of it. A cup of coffee when you wake up in the morning is fine, but you don’t need one every time you leave the house, or every time you sit down to relax, and you don’t need 4 glasses of wine at the Christmas party. One will do. If and when your hand feels empty (I’ve noticed that for many people, it just feels natural to be holding a drink in their hand), replace those extra drinks with WATER. Water is your friend! Try it with lemon or fruit in it. If you want something hot, try herbal tea. Keep flushing out all that extra sugar and caffeine that most people ingest during the holidays by drinking water, water, and more water. SLEEP. More than water, sleep is your best friend. It’s healing and restorative in so many ways. It’s essential for full enjoyment of the holiday season. Aim for 8-10 hours on as many nights as you possibly can. If you start to feel sickness coming on, rest and sleep as much as you can. Sleep heals. Moms with young children and those who struggle with insomnia – just do the best you can. About an hour before you want to fall asleep, turn down the lights in your home. Put away your phone and laptop, and make sure there are no lights on in your bedroom, including computers or digital clocks. JUST ONE BITE is okay. This one is something that Jessica mentioned she learned while doing her Whole30 challenge. She explained that the permission to STOP eating something if you don’t like it really made a difference. For example, if you’re at a Christmas party and you fill your plate with Christmas goodies. and then take a bite of something and don’t like it, you don’t have to finish it. For some of us, this can be revolutionary. Give it to your partner, or throw it out. Don’t finish it just for the sake of finishing it. Let it go. Eat something if you really enjoy it, and don’t eat it if you don’t enjoy it. Sounds simple, but next time you’re at a party, be mindful of what you’re tasting and see how often you eat something even if you don’t really enjoy it. It happens more often than we think! CROWD OUT. One of the first techniques I discuss with clients is the “crowding out” rule. When you fill your plate during a meal, start with the healthy options. Fill your plate with protein, vegetables and fruit FIRST. Eat what’s on your plate, and then decide if you need or want anything else. Crowd out the less healthy food with healthy food. The more you fill your stomach with nutrient dense, filling food, the less space there is for empty, useless food. MOVE. Move your body as often as you can, in as many ways as you can. Find a way that you like to move your body: dancing, running, walking, hiking, yoga, etc. The possibilities are endless. Think outside the box! Jessica and Sheena had the cute and clever idea of making up short, effective workouts to do while your Christmas baking is in the oven. A quick scan on Pinterest led to these, and there are many more ideas out there. A favourite fun exercise that the three of us love is called the Squatty Potty. Make a pact with a couple of friends to do the Squatty Potty challenge for a full week. The challenge is to do 10 (or more!) squats every time you use the washroom. It’s silly and light hearted, but a good way to get moving. Every little bit helps! Take care and enjoy this wonderful Christmas season with your friends and family. What’s the number one thing I can do to improve my health? Going cold turkey on these foods and behaviours is too difficult, so what’s the first step? Everything is so overwhelming. What are the basics? Where do I even begin? It’s tempting to dive in to the 10 million little things I feel could change their lives, and I get so excited about it that I have to hold myself back from overwhelming them. Sometimes I do get clients who want to go cold turkey on their old life and dive right in to a life full of health and wellness. They see things in black and white and they make decisions this way – no moderation. But most often my clients choose the slow and steady path, beginning with the basics and slowly edging out their less healthy choices and replacing them with better ones. Although I strongly believe that a quick, short term cold turkey approach can be extremely effective and rewarding, I don’t believe in manipulation or forcing my clients to do something they don’t feel ready to do or aren’t comfortable with doing, so I’ve come up with some baby steps. Here are five basic things you can focus on to begin improving your wellness. Tackle all five at once if you wish, or introduce one new concept each week, or each month. Listen to your body, find out what approach works best for you, and dive in. One of the most basic but life changing things you can do is sleep more, and sleep well. Everything is affected by how long, how well or how poorly you sleep: your metabolism, your weight, your ability to make decisions, your energy, your ability to focus, and so much more. As much as it is in your control, aim to go to bed at the same time every night and wake up at the same time every morning, with 8 hours of solid sleep in between. No screen time for an hour before bed. No caffeine after noon. Sleep in a completely dark room, with no digital clock or computer or light showing. To the young mothers and others who don’t have full control over your sleep habits: do the best you can with what you have. It won’t always be this way, I promise. Fat doesn’t make you fat. Sugar makes you fat. It also causes spikes and crashes in your energy levels, and contributes to almost every disease known to man. Sugar suppresses your immune system making it much more difficult to fight off a common cold or flu. Basically, sugar is trying to kill you. If you make only one change to your diet, cut out the sugar or cut back on it as much as you can. I advise cutting out sweeteners altogether but this is about baby steps, so try using more natural sweeteners like organic maple syrup, organic raw honey, or coconut sugar as a substitute. Be sure to read the labels on the food you buy and watch for any added sugar. You won’t believe the kind of foods they sneak it into. As often as you can, move your body. You don’t have to be a runner or Crossfitter. There are so many ways to move your body: swimming, walking, hiking, paddle boarding, yoga, rowing, skipping, weight lifting, kayaking, canoeing, playing sports, bootcamp, and many more. Exercise should be enjoyable, not a form of torture, so find something that you enjoy and do it often. Outside is always best, but work with what you’ve got. Aim for at least 20 minutes per day of movement outside and you will feel an incredible increase in energy and mental alertness and you’ll sleep much deeper. The combo of fresh air and healthy movement wins every time. It’s pretty straight forward and you’ve heard it a million times: your body is made of water and needs water to function properly. Less wine, more water. Less coffee, more water. Less juice, more water. Less soda, more water. Find a water bottle that you really like and that you feel comfortable drinking out of (maybe you prefer a straw versus a wide mouthed bottle) and carry it around everywhere with you. Every time you have a craving or feel like wine, coffee, soda, or whatever else you’re wanting, stop and make yourself drink 8oz of water first, and then decide if you still want that other drink. Try squeezing some lemon in your water or fresh fruit. If you stay properly hydrated you will have more energy, less cravings, and increased mental awareness. Gulp, gulp, gulp! Good luck with your baby steps, and as always, don’t hesitate to contact me if you’d like me to coach you through these one on one! 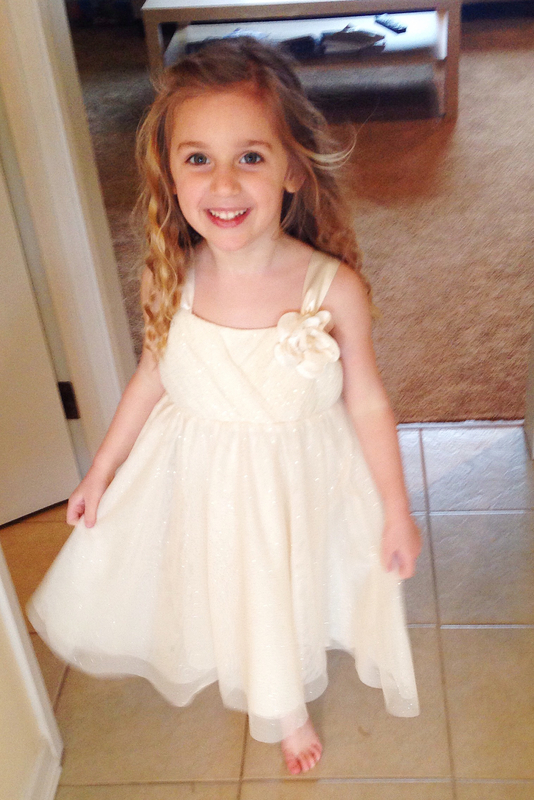 Almost a year ago I wrote about my food struggles with our beautiful, spirited daughter, Charley. Her full story can be read here, but the gist of it is that she was an extremely difficult baby and toddler and pretty much hated all food except for packaged, processed garbage. Out of pure desperation and exhaustion, we allowed her to survive on that, until last June when we made a goal to have her eating only whole, unprocessed foods in our home (progress, not perfection) by age 5. Charley is 4 years old now, and you can’t imagine how many times I have regretted posting that article. Most of the time I’m on board and still fired up about changing her eating habits, but when it’s 5:30pm and I’m in the midst of the dinner battle, I often wish I never made that goal and I wish I had never posted it publicly. On the flip side, when the battle is finished, I feel so glad that I made that goal public as it keeps me accountable. Accountability in any health challenge is key. Charley has come so far with her eating and her little self has changed quite dramatically because of it. Here are a few things we have introduced since the original post back in June of 2014. 1) If you don’t eat what is served for dinner, you don’t eat at all. Totally harsh. I know it is. But we’ve implemented this rule a few months ago and guess what? My kids are both still alive and functioning well. They do go to bed hungry sometimes, but they sleep fine and wake up ready for a big healthy breakfast. I know some parents warm up the leftover dinner and put it out again for breakfast for their child, but I don’t do that. We start each day fresh. (Note: I didn’t implement this rule at the beginning of our journey to whole foods, as I do think it is quite a leap, especially for a 3 year old. We made this decision and rule after about 7 months of slowly transitioning from packaged to whole.) Also, this applies only to dinner time, where we sit and eat as a family. Her breakfasts and lunches are often different than mine, but still whole and unprocessed. Charley has a simple sticker chart that we keep taped to the fridge. Every time she tries a new food (trying a new food is quite intimidating for her – she has a very sensitive gag reflex) she gets to put a sticker on her chart. When the chart is full, she gets to pick out a new toy from the toy store. Huge thanks to my friend Alyne for this idea. Notice that she does not get a sticker for eating everything on her plate. We aren’t even going there at this point. Prior to this sticker chart we were bribing her with a couple chocolate chips or smarties, but we knew it was wrong and not helpful, plus, SUGAR. We don’t need any more of it. 3) Charley is involved in preparing her food. This girl loves to be in the kitchen with me. We make everything from scratch and I love passing that down to her, and dreaming of one day when she will pass it on to her children. 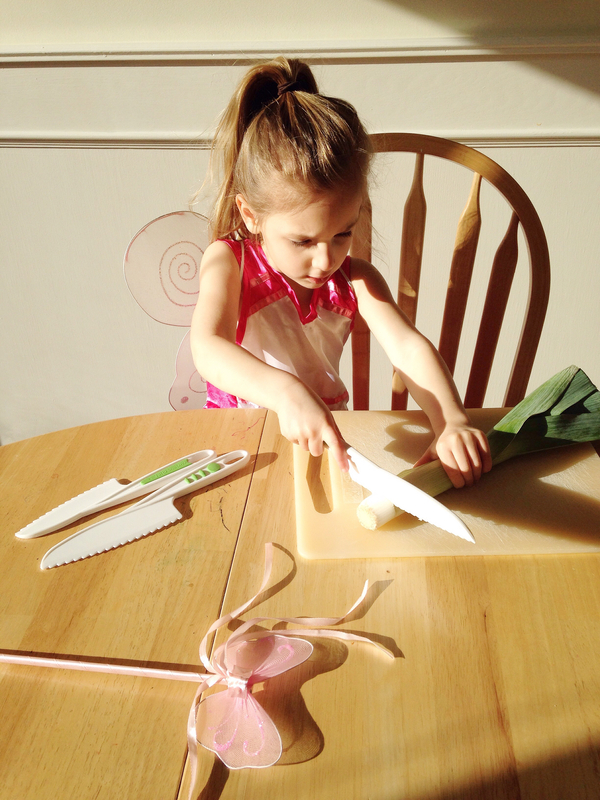 She has her own adorable little apron and recently received an awesome children’s knife set for Christmas from her auntie and uncle. These knives are sharp enough to actually chop but are totally safe. She loves them! You can find them here. 4) We are consistent with our “rules” and the way we talk about food. I wrote the post Why We Don’t Use the F-Word and Other Family Rules some time ago, and we stick to this. We continue to encourage her and remind her that food is fuel for her body, food gives her energy and strength, and strength is beautiful. Since we started this challenge back in June, Charley has been sleeping like a rock. She’s in bed sometime between 6:30-7:00pm and sleeps until around 7:00am, with barely any exceptions. This is a huge improvement from before, where she was waking up every 1-3 hours during the night and not able to fall asleep until after 8:00pm. Her intense mood swings have calmed down, although they haven’t vanished. She is still our spirited little girl and struggles with transitions and other things, but the amount of outbursts and temper tantrums has decreased hugely. We can clearly see now when she does have excess sugar how much of an effect it has on her behaviour. Wouldn’t it be wonderful for her to enter her teen years not hating her body? To live her young adult life knowing that her worth is not dependent on a number on a scale? To grow up already having healthy eating habits and exercise built into her life, rather than having to begin them at a later age, making it so much more difficult? To look in the mirror and feel strong, capable, and loved? Most adult women don’t feel that way about themselves, and it’s time to break that cycle. We need to stop passing it down to our children. The cycle can be broken, and as a parent, you have the power to do it. For some of you reading this, it may seem so simple and obvious. You probably fed your child only whole and unprocessed foods from the very beginning. You can’t figure out why some of us didn’t do that. Be kind. You may struggle with some other aspect of parenting that comes easy to us, or you may not. Either way, be kind. For others of you, the struggle of getting your child to eat only whole and unprocessed foods seems impossible. This post isn’t meant to make you feel guilty about that. It’s meant to be an encouragement and a promise to you that if I can do it, so can you. You can start somewhere and make slow, consistent changes. It’s really really really difficult, but it’s worth it. Break the cycle. Recipe for the cookies can be found on The Jordan Project blog. 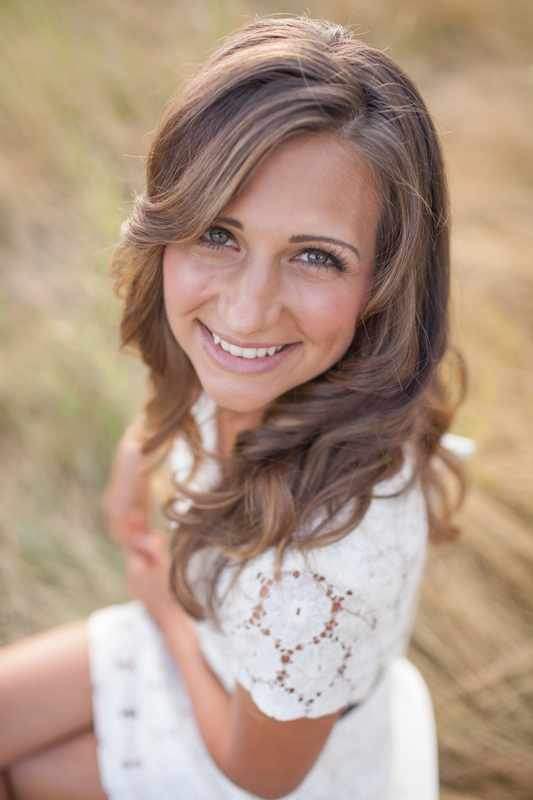 Health Coaching – Let Me Help You! About 6 months ago I was in a grocery store with my kids when a woman approached me with a sad, desperate look in her eyes. “Excuse me, but you look like you work out, and I can see you have kids. How do you do it? I just can’t seem to make it work.” (I was decked out in Lululemon running clothes and dripping in sweat from running to the store from my house, pushing the kids in the stroller). I completely panicked. I totally blew it. A million things ran through my head but nothing came out. I don’t even remember what I said, but I think I just fumbled around a bit and then referred her to my Facebook page. She looked a bit dejected and left the store with her young daughter. As soon as she walked away, a million things that I could have said ran through my mind. I work out because I’m a better mama when I do. I’m kinder and have more patience when I’ve taken some time for myself. I often work out WITH my kids. Some days, that’s the only way to fit it in. I’ve surrounded myself with people that support me. My husband is my champion and always supports my strive for health and balance. He helps me carve out time. The path to health and wellness is 80% nutrition and 20% exercise. Let’s start with food. You can do this. There are ways. I believe you can. Here’s my card. I would love to help you. For the next few days I mulled over the conversation and kicked myself for not offering her a big warm hug. I’ve been there. I remember how I felt like I was drowning after my daughter was born. I could barely keep my eyes open, never mind think about food and exercise. I needed a hug and some guidance. If you’re feeling like this, then I’m here to help you. I offer a one on one program where you and I discuss your wellness goals and work towards them. I will coach you through the ups and downs of implementing health and wellness into your life in a permanent way. I will become your confidant, your cheerleader, your workout buddy, your accountability partner or whatever you need to help you reach your goals. We will be partners in the journey. I offer different packages of different lengths. You can choose to meet twice a month for 4 months (intro), 6 months (standard, and recommended amount of time to implement a life change), or 12 months (for those who would like extra encouragement and accountability). Each coaching session will be 45-60 minutes. Free gifts are included, and extra opportunities (things like trips to the health food store, pantry/fridge content makeovers) are available for those who are interested. Full access to my cookbook library is also included. -I will not prescribe drugs or medication of any kind. I’m not a doctor and I will refer you to one if necessary. -I will not be your personal trainer. I can give you the tools to exercise and suggest all kinds of fun ways to incorporate it into your life, but I will not be conducting a personal training session. I’m not certified (yet!) for that and will not cross any lines. I will be happy to refer you to some amazing personal trainers that I know if that is what you are looking for. -I will never ever try to sell you any products. No shakes, no pills, no fad diets, no wraps. I don’t believe in those things and will never push them on you. I believe in real food and real exercise, and we’ll stick with that. -I will not put all my clients on Whole30. If you follow my blog, you know I’m passionate about it and you know I live a Whole9 lifestyle. However, I’m fully aware that not everyone is interested in that. We will work with YOUR needs, goals and wants. It’s about you, not about me. That’s the gist of it! If any of this sounds appealing to you, contact me and we can start with a FREE health history evaluation. We’ll meet for coffee, discuss your concerns and hopes, and figure out if this program is right for you. You can contact me by email at joanna@wellnesswithjoanna.com for more information, pricing, and a health history evaluation. Introductory pricing is in effect until September 2015. The holidays are here and gift buying is in full force. Let’s hold off on the boxes of Purdy’s chocolates and look at some healthier and more constructive gifts for this Christmas. Here’s a list of some of my favourite wellness related gifts that any health conscious person on your list is sure to love! 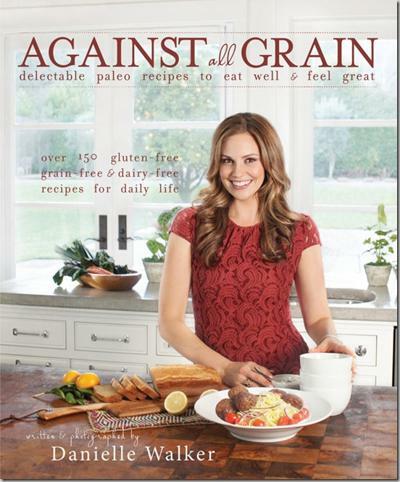 1) Against All Grain and Against All Grain Meals Made Simple by Danielle Walker. These cookbooks have quickly become my absolute favourite paleo cookbooks. I’ve been working my way through them and so far I have been wowed by every recipe. 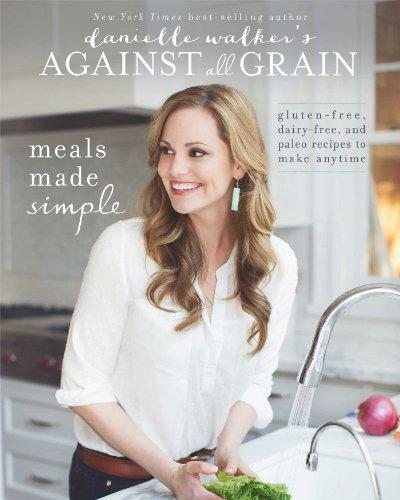 Aside from just the awesome recipes, Danielle Walker herself is a wonderful and inspirational women. I’ve read her personal story on her blog and met her in person and she really is beautiful, inside and out. Click here to order Against All Grain from Amazon. 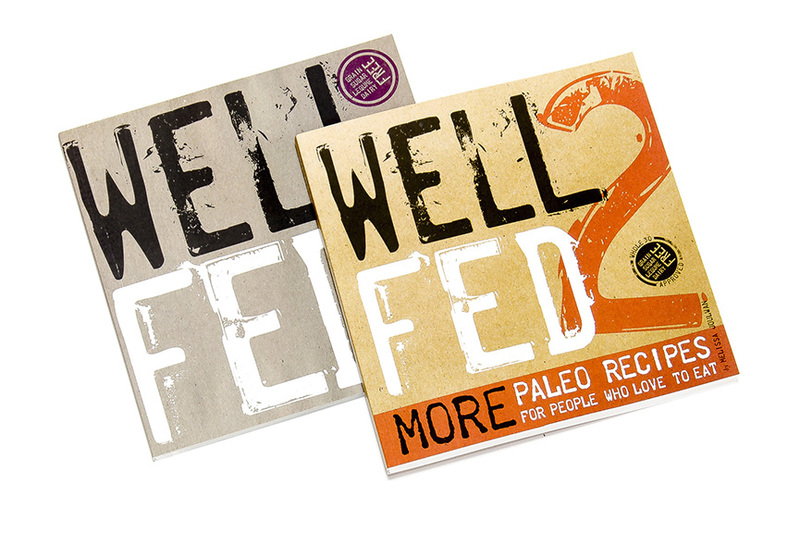 2) Well Fed 1 and Well Fed 2 by Melissa Joulwan. These two cookbooks are a must have for anyone on your list interested in doing the Whole30 challenge. These cookbooks are Whole30 approved and full of delicious, flavourful recipes. I have used my copies so much that the pages are now curling at the edges and my favourite recipes have some food splatters on them…oops. Click here to order Well Fed from Amazon. 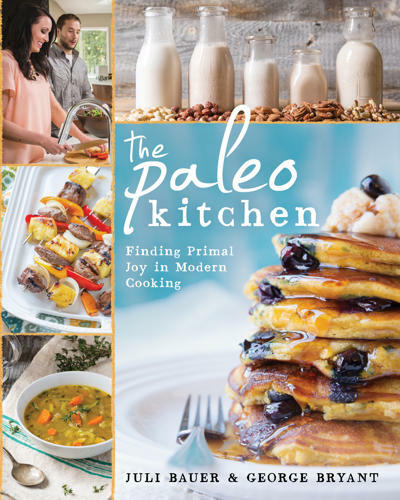 3) The Paleo Kitchen by Juli Bauer and George Bryant. My favourite thing about this cookbook is the simplicity of the recipes. They don’t have long lists of rare ingredients or a ton of steps, yet they turn out tasting like you’ve spent hours in the kitchen. They are simple enough to allow my 3 year old, Charley, to feel like she’s doing most of the work when she helps me make dinner. One of our favourites is the Chocolate Cinnamon Swirl Banana Bread. Mmmm! Click here to order The Paleo Kitchen from Amazon. 4) Practical Paleo by Diane Sanfillipo. This book is a must for anyone new to the paleo lifestyle. It’s full of shopping lists, guides, meal plans, recipe lists and everything you need to get started. It’s one of the first paleo cookbooks I owned and really got me excited about cooking and eating this way. 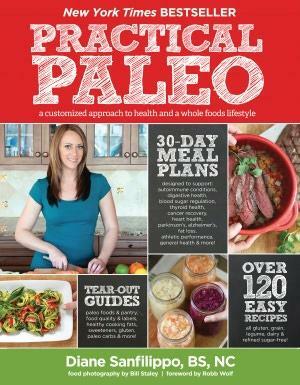 Click here to order Practical Paleo from Amazon. 1) Vanilla Pecan Coconut Butter by Caveman Grocer. Oh my goodness. This stuff is a real treat. I met Caveman Grocer at a farmer’s market in Whistler BC and really liked her right off the bat. She makes this delicious coconut butter herself which is extra awesome because I really like to meet the people who actually make the food I eat. My favourite way to eat this is with apple slices but it’s really versatile, and I wouldn’t judge you if you ate it right off the spoon. 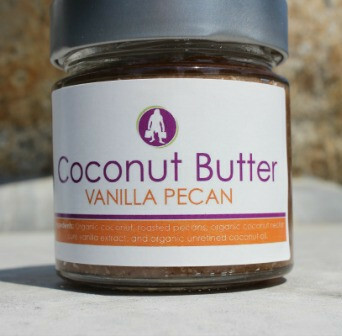 Click here to order Vanilla Pecan Coconut Butter. 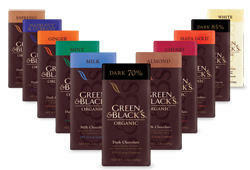 2) Green and Black’s Organic Chocolate. There’s always at least one odd person on your list that you can’t find a unique gift for so you end up giving them chocolate. I encourage you to be ethically conscious this year and consider ordering from a fair trade chocolate company like this one or many others you can find. Click here to order Green and Black’s Chocolate or find some in any ethically conscious grocery store around you. 3) Level Ground Direct Trade Coffee. This is a great brand to purchase from for the coffee snob on your list (aka ME). 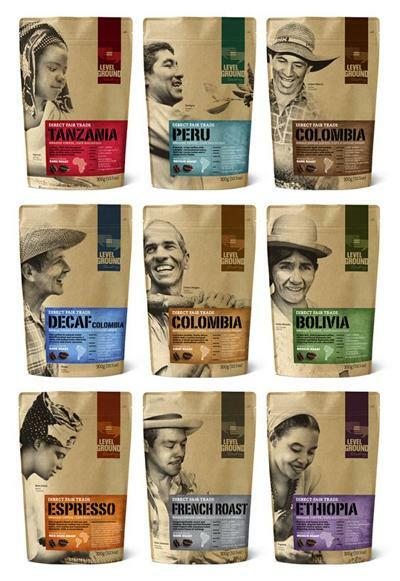 Direct trade is always your most ethical choice for coffee and this company does not lack in full, robust flavour. Even the decaf is fantastic, and that’s saying a lot coming from me! Click here to order Level Ground Direct Trade Coffee. You already know how much I love zoodles (zucchini noodles) and I’ve had lots of people ask what kind of tool I use to make them. This is the tool I would use if we had enough kitchen space to store it. 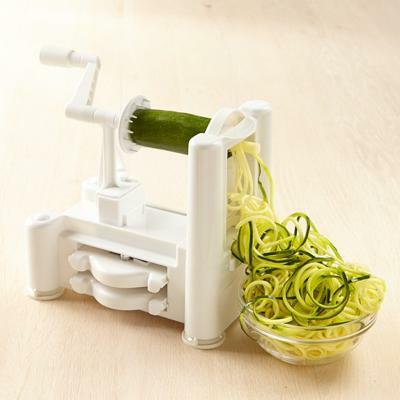 Click here to order the Paderno Spiralizer from Amazon. THIS is the tool that I actually use. It works well for now but I’ve still got dreamy eyes for the Paderno. 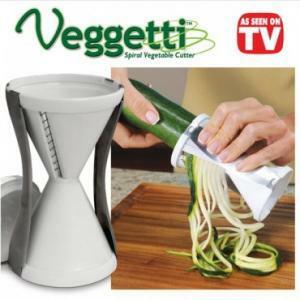 Click here to order the Veggetti Spiralizer from Amazon. 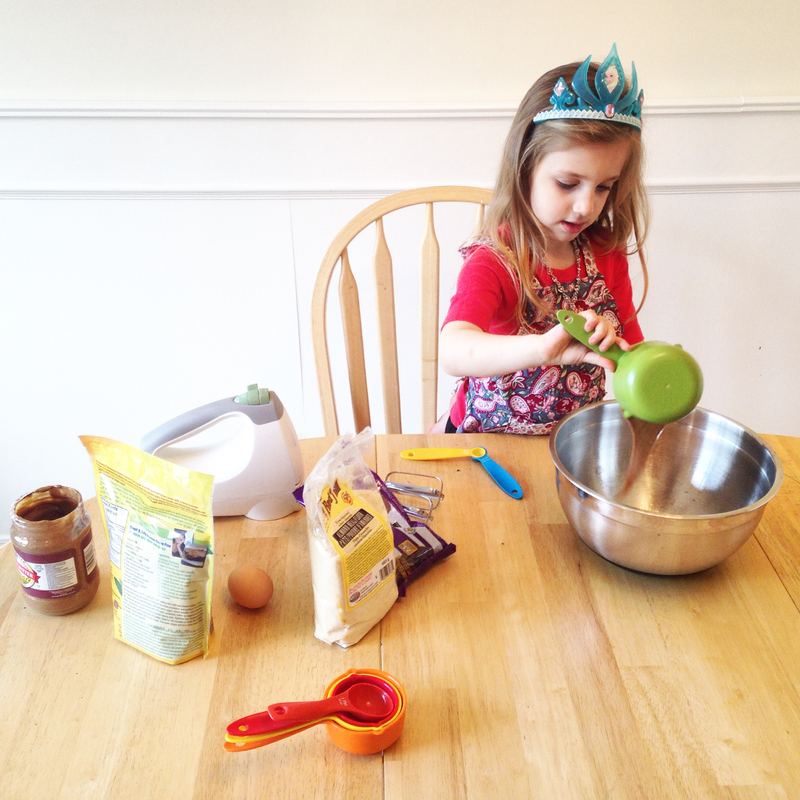 Both of my kids love paleo baking and we were going through muffin tin liners like crazy. I hated seeing all that waste and so recently invested in some cute silicon baking cups. My kids love the bright colours, and they are BPA free, easy to clean and of course reusable. 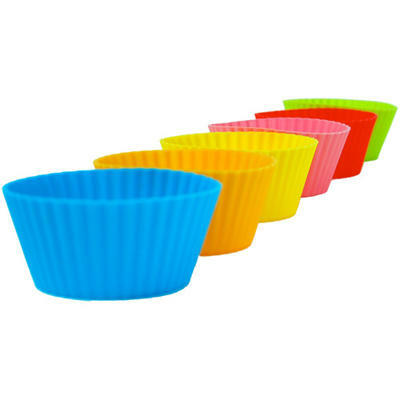 Click here to order some Silicone Baking Cups. I’m curled up in bed while I write this, surrounded by tissues and hot tea. My inspiration for this post comes from my own neglect of these practices lately, so it’s time to write about it and then practice what I preach. This Fall, sickness has hit me pretty hard. Here are some things I should’ve been doing and am really encouraging you to do to stave off illness as much as possible. Stay tuned for a collection of some tried and tested home remedies for the common illnesses that go around during the fall and winter months! Stay well, friends. I am really enjoying the abundance of ripe, fresh fruit this summer and the abundance of fresh wild sockeye from our CSA. I combined my love for nectarines and salmon tonight and came up with this meal that we devoured in minutes! We enjoyed this with a side of roasted beets and mixed baby potatoes. 1) Wash and dice your first 5 ingredients into small, uniform pieces. 2) Toss them in melted coconut oil and spread them on a baking sheet lined with parchment paper. 3) Place your baking sheet on the top rack of your oven and set your broiler to high. 4) Broil for 5-10 minutes or until salsa just begins to blacken. Remove and let cool. 5) Place your salmon on a baking sheet lined with parchment paper. 6) Sprinkle with salt and pepper and place on the top rack of your oven and broil on high for 10-15 mins until salmon is cooked through. 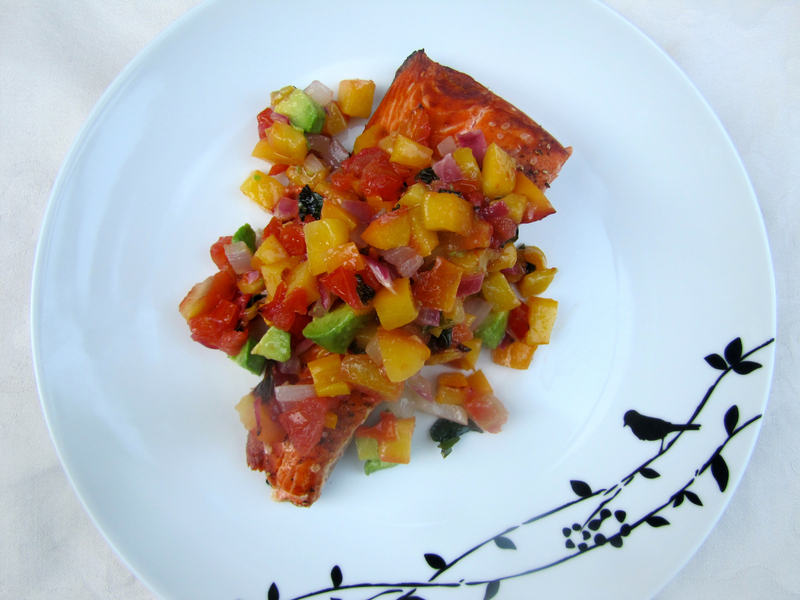 7) While the salmon is broiling, dice your avocado and gently mix it into your salsa. Add the chopped basil and toss gently to combine. 8) When salmon is cooked through, remove and place it on your plate. Top with your salsa and enjoy!